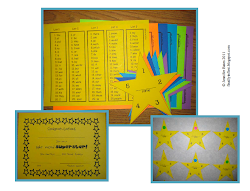 Have you noticed your class is seriously lacking in fine motor skills? Do they hold the scissors upside down or move the scissors around instead of the paper? The only answer is to provide instruction on proper technique and opportunities to practice. 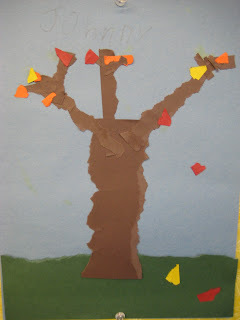 I teach art every Tuesday and many of those weeks we use directed art projects from TLC Lessons. I give step-by-step directions the students must follow like, "Pick up the largest brown rectangle. Hold it vertically. Cut off a triangle on the top two corners." This reinforces shape and positional vocabulary and I use my observations of how well they follow directions as a listening grade. 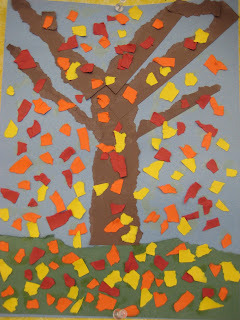 Last week we did a tearing project for fall although I changed the colors from the original TLC directions. The students decided how many leaves to put on and where. I would not be able to manage this if it wasn't for my terrific parents. I have one mom who cuts all the paper at home and sends the project in all ready to pass out. I have other parent volunteers attend so they can walk around and remind children to hold their scissors correctly or get a new brown rectangle if the student had a hard time with a certain step (always have a few extras!) Especially in the beginning of the year there is some frustration and tears. It helps to have these parents to put out multiple fires. I do admit I do need to manage the parents a little. I caution parents about helping their own child. I've found the parents are either overly tough on their child OR the child becomes a baby with the attention of their mother and the mom wants to coddle them. One boy started bawling last week and I told the mom point blank that I thought it was because she was there and as soon as she moved to the other side of the room and I talked to him he stopped crying and got to work. Unbelievably, I have also had to say, "Parents, please don't pick up the glue and do it FOR them. " But once I have the parents trained :-) it is all good. 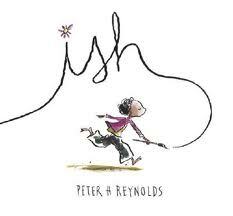 If you are worried about your kids getting upset about how their artwork turns out, my advice is to read the book Ish. I posted about this before but it works wonders. When we tore the trees some of the kids were a little sad that their tree had a bigger chunk out of it than my sample. I said, "Does it look tree-ish?" and the other kids jumped right on. "Yea, it is tree-ish. Maybe that is where a squirrel lives!" 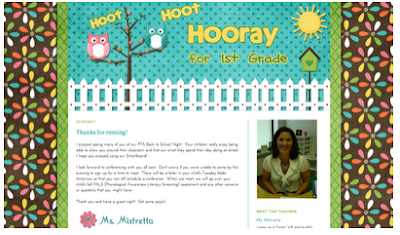 I also wanted to share some blog designs that we finished. I hope you don't mind me sharing these occasionally. Maybe you will find a new blog to follow? Click on the photo to go visit. 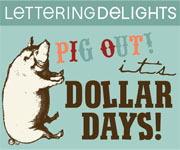 Finally, I fixed a long overdue problem on my blog. 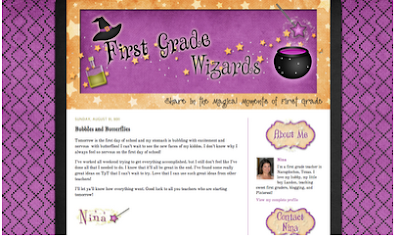 I now have all the teaching blogs I follow listed on my sidebar! I hadn't updated that gadget in forever and was feeling badly about not having some of my new favorites on there. They are listed by the most recently updated so everyone will get fair billing. Only 10 show at a time but you can expand the list if you are interested. I so appreciate all the wonderful ideas you ALL share! I'd love it if you would add me to your sidebar, too. I have awarded you a versatile blogger award! I laughed when you said Happy Fall Y'all! I want to put that on my bulletin board but I'm pretty sure the other teachers in my building will think I am crazy since we're in Chicago... haha! Thank you for the book recommendation Ish, I've ordered it from Amazon and can't wait to read it to my class. As a gal from Ga, I just love saying "Happy Fall Y'all!" (LOL)> I love following your blog. 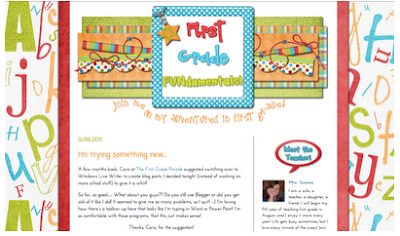 Thanks for including me on your sidebar -- you are an inspiration to me and have always been on my sidebar!!! THANK YOU, JENN! Your trees are beautiful, I am adding that to my lessons for next week! And yes, I love Ish! I just gave you the "I Heart Your Blog" award, come check it out!